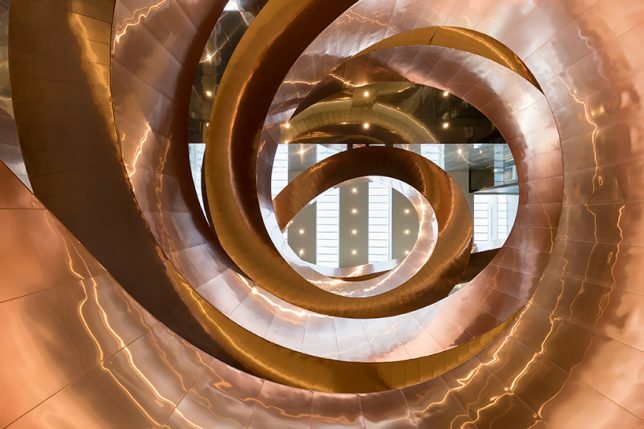 More than just a means of advancing from one level of a building to the next, staircases are an opportunity for drama and sculptural flair, like a permanent art installation built into the structure. 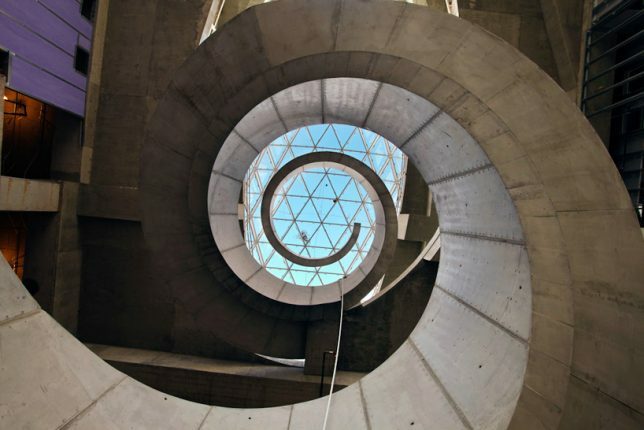 Spiraling toward skylights, carved into a building’s exterior or planted with lush gardens, these incredible modern staircases are the defining feature of the houses, museums and offices the occupy. 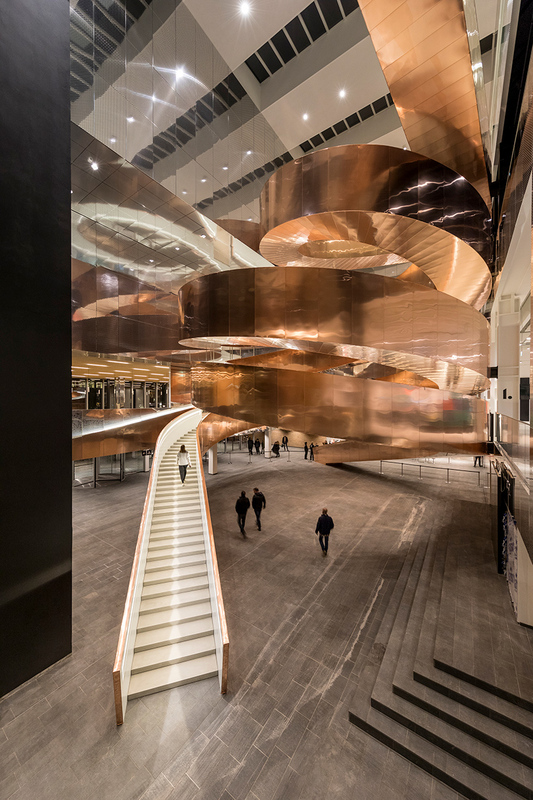 This incredible 328-foot-long helix staircase by CEBRA at one of Denmark’s top science centers is made of 160 tons of steel and 10 tons of copper, spiraling up through the four-story atrium. 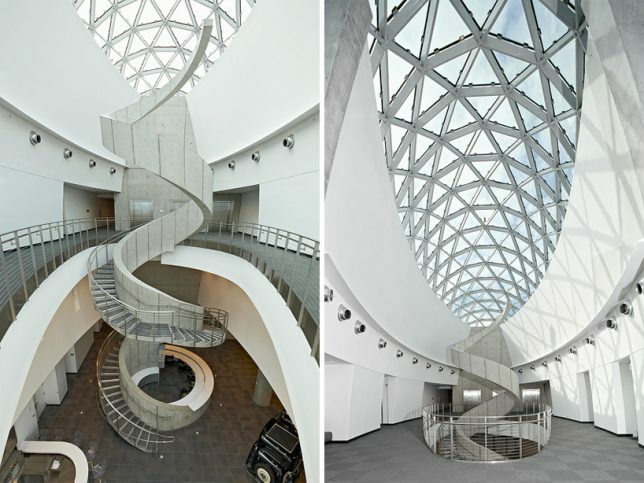 At HOK’s Salvador Dali Museum in St. Petersburg, Florida, a stunning surrealist design befitting the artist being honored contains a spiral staircase that curls up toward the skylight even when the stairs end, like a vine stretching toward the sun. 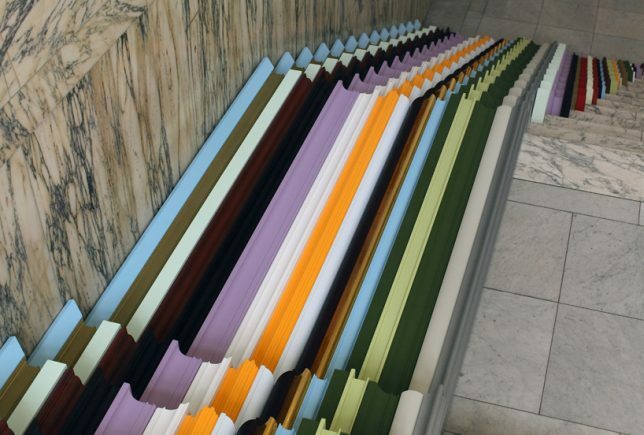 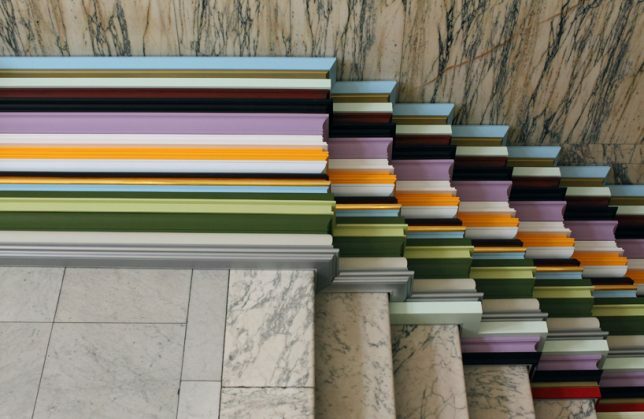 Pieces of colorful framing typically used to frame art in museums becomes art in and of itself in this staircase installation by UK designer Stuart Haygarth at the Victoria & Albert Museum. 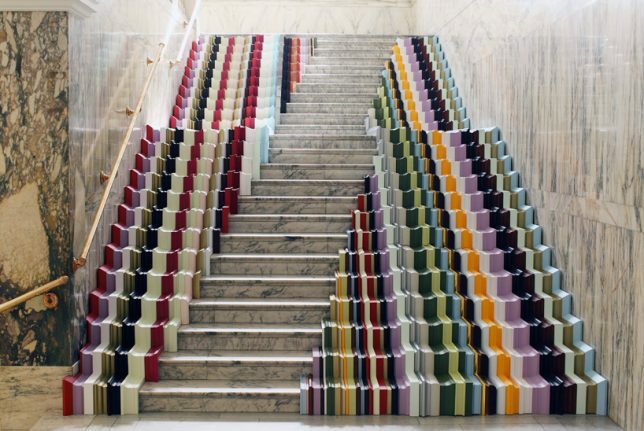 Nearly 2,000 feet of cut-off framing pieces are joined, sanded and painted “to create a work akin in 3D graffiti on a traditional staircase reminiscent of the yellow brick road in ‘The Wizard of Oz,”” as the designer explains. 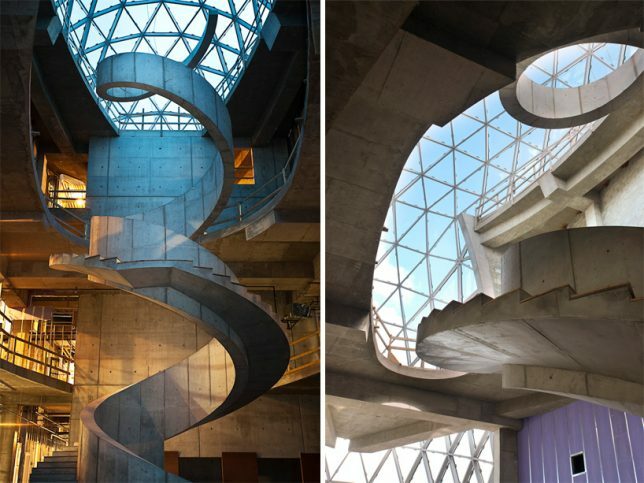 Rarely is a modern structure – particularly one shaped like a tower – so defined from outside by its exterior staircases. 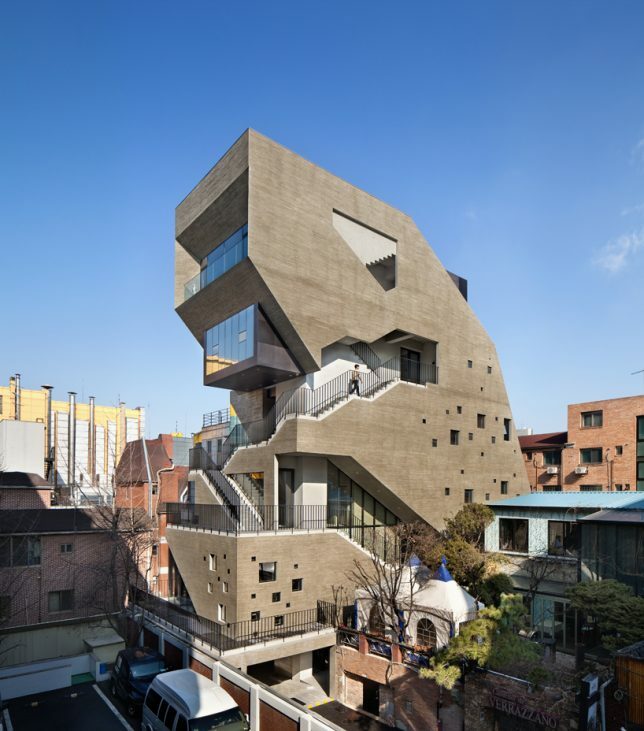 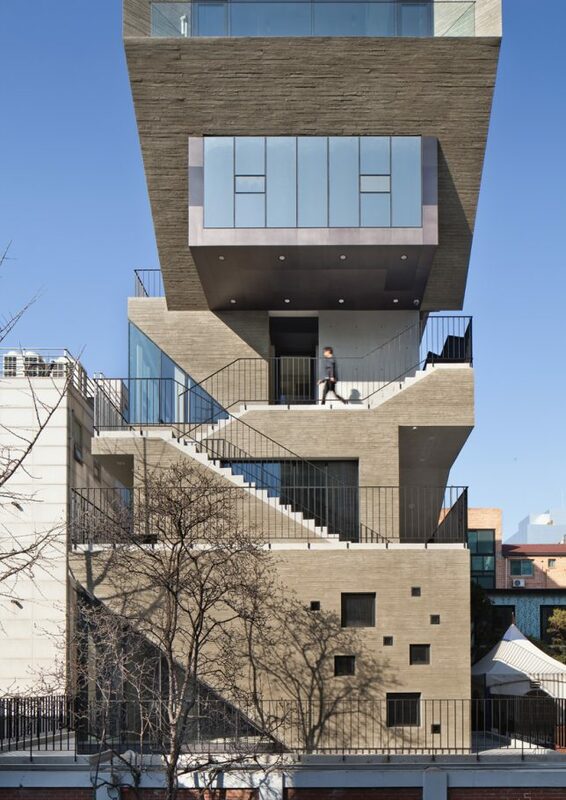 The firm Bang by Min ‘carved’ a staircase into the concrete block of the Interrobang mixed-use building in Seoul. 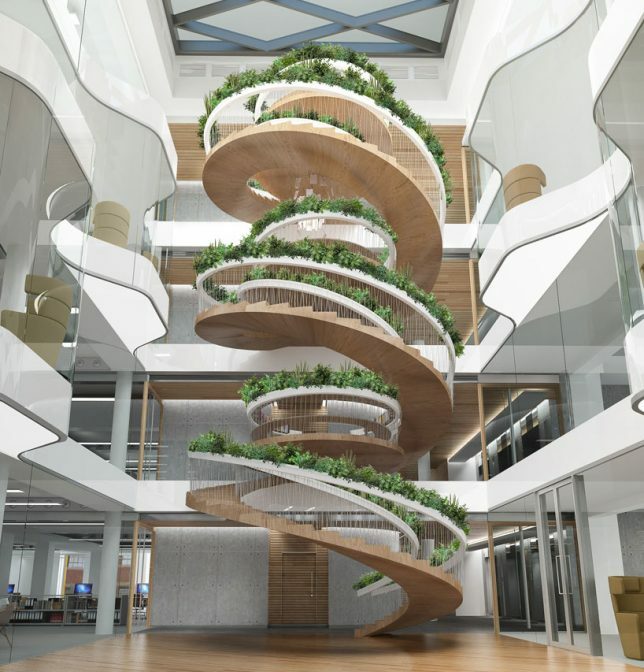 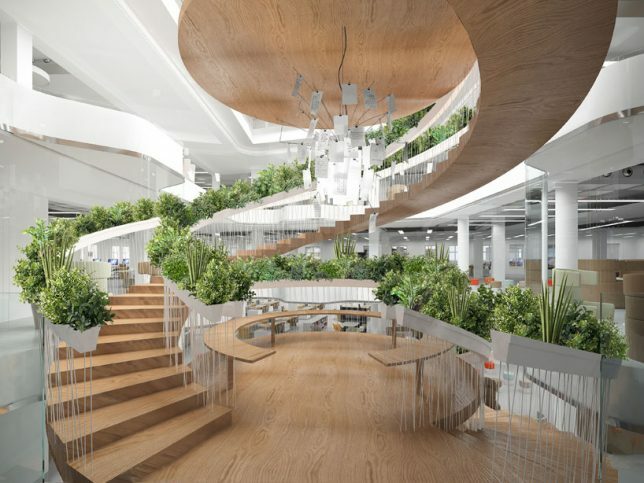 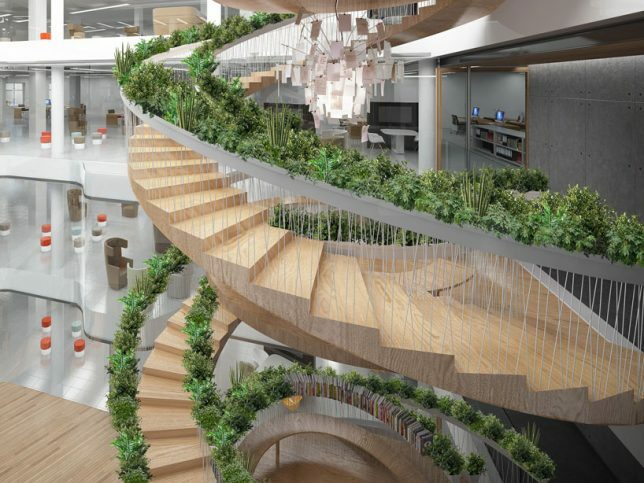 Commissioned for the creative office development Ampersand in London, ‘The Living Staircase’ by Paul Cocksedge features integrated planting areas along the balustrade as a functional garden.